Fixed visualization issues for some iPhones. Improved "add your course" option. Every great golfer needs a great caddie. PocketPAR is your caddie. 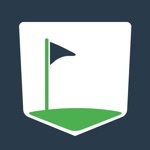 With over 9,000 courses in the database and growing, PocketPAR has the accurate yardages needed for you to play your best golf. 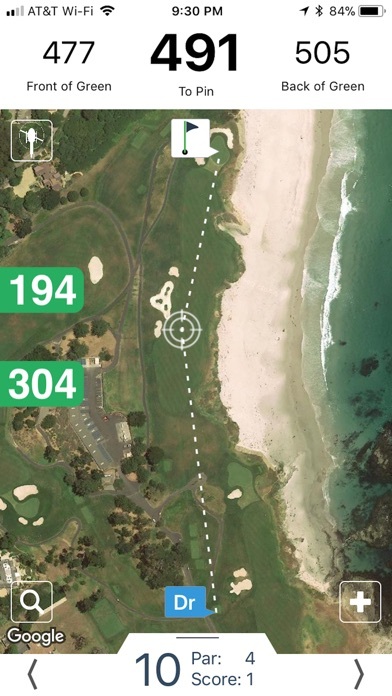 With intuitive touchscreen controls, tap anywhere on the course to get accurate yardages to hazards, layup locations, and greens using the GPS on your phone or Apple Watch! Can't find your course? PocketPAR's database is crowdsourced, allowing you to add it seemlessly in the PocketPARdb companion app. Every great golfer needs a stats guy. PocketPAR is your stats guy*. Tracking shots has never been easier. Using PocketPAR's simple method, you're just a few taps away from recording every shot. The PGA Tour may have hundreds of volunteers measuring their every shot with lasers, but you have PocketPAR. 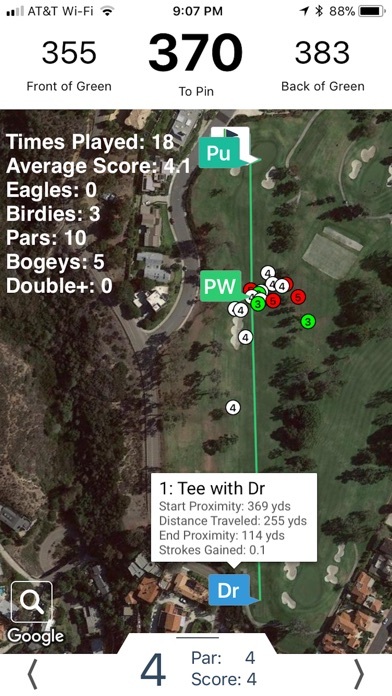 Using GPS logged information, every shot is tracked including distance and advanced statistical measures such as strokes gained and proximity to the hole. No problem. 'Analytics' will breakdown your stats in an easy to interpret format so that you can quickly learn what you need to work on to improve. 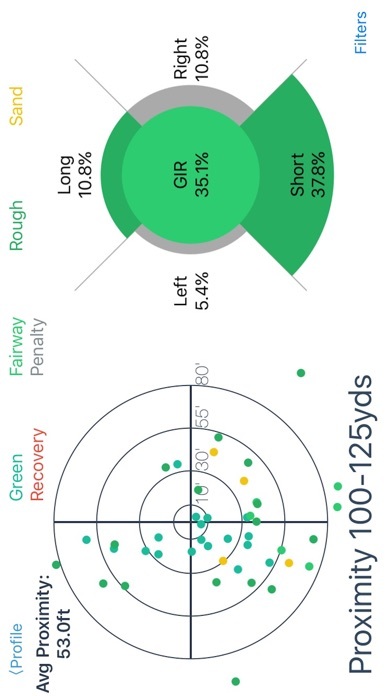 From Driving to Putting and everything in between, PocketPAR can provide detailed analysis any way you want it. 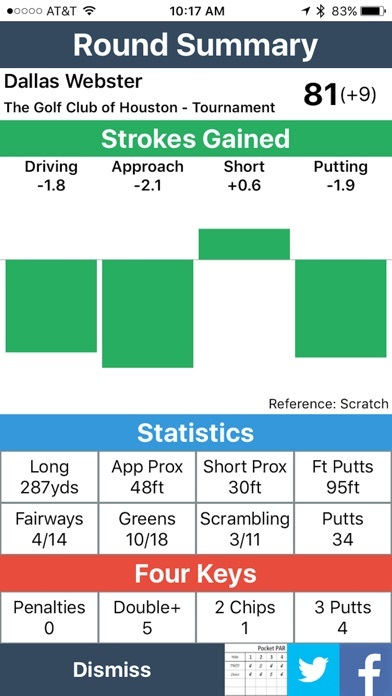 And if you are a numbers guy, PocketPAR has more than enough to keep you satisfied and digging deeper to save those last few strokes and lower that handicap. PocketPAR's easy sharing functionality allows you to sync up with buddies or teammates and compare data. Compete to see who can make the most birdies or hit the longest drives or gain the most strokes. PocketPAR Analytics feature requires a subscription and provides annual and monthly options to fit your budget and golf season for access to advanced statistics data. Rangefinder, scoring history, and shot/club tracking do not require a subscription. 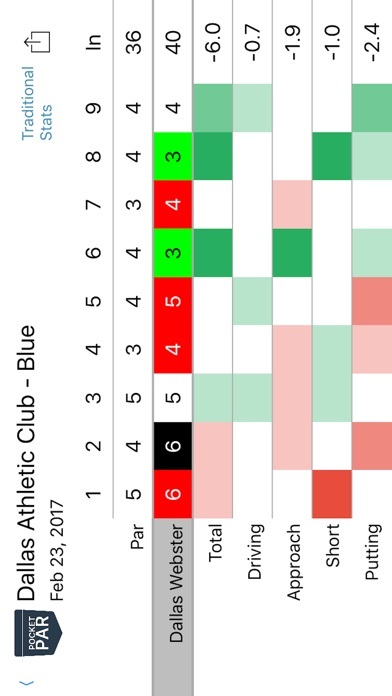 *Advanced statistical analysis of golf data requires a subscription after the first three rounds. Subscriptions can be purchased in-app with both auto-renewing and non-renewing options. Payment is charged to your iTunes account at time of purchase. Auto-renewing subscriptions are renewed automatically unless cancelled at least 24 hours before the end of the current period. You can manage your PocketPAR subscriptions through your iTunes account. PocketPAR offers both monthly and yearly auto-renewing subscriptions. In addition there is a non-renewing option providing access to statistical data for a one month period. PocketPAR requires a GPS enabled iPhone. Continued use of GPS running in the background can dramatically decrease battery life. This app may use your location even when it isn’t open, which can decrease device battery life.